Moisture-wicking comfort for rugged trails. The sun is out and you've got serious distance to cover. 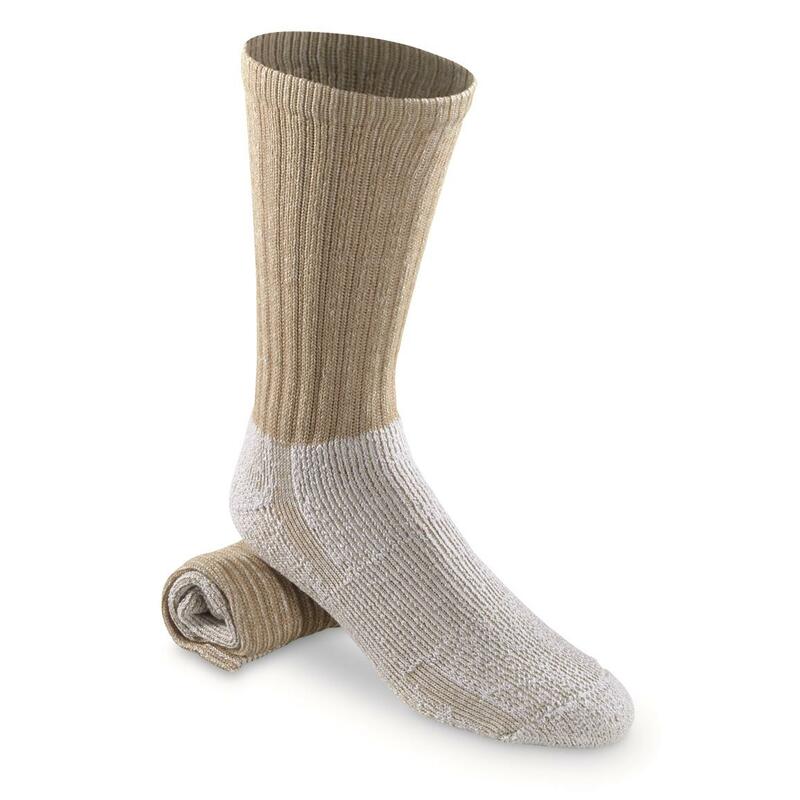 Make it easy on your feet with these military-tough British Boot Socks. Padded heel and toe reduces the impact of each step. High-performance blend of fabrics provides both stretch and breathability.